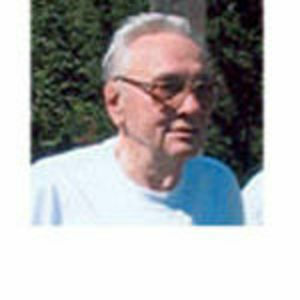 Clayton Brasefield, 88, father of Devorah Olewnik, formerly of Pittsfield, MA, loving husband for 54 years of the late Helen (Phillips) Brasefield, whom he married in 1943 passed away peacefully April 21, 2006 in Cheshire, CT. He was born on November 13, 1917 in Easton, PA. the son of the late Lester and Fannie (Struthers) Brasefield. Clayton was a U.S. Army Veteran and served as a Captain in the 581st A.W. Battalion Anti-aircraft Unit from 1942 to 1947. He attended Moravian College in PA. and retired from the Hartford Insurance Group where he worked as a Director of Claims Education from 1966-1982. Clayton lived in Cheshire with his daughter and son-in-law for the last six years. He loved sailing, boating, going bowling and all types of trains. Clayton is survived by his son; Craig Brasefield and his wife Nancy of Vernon, CT.; his daughter; Devorah Olewnik and her husband Richard of Cheshire, CT.; five grandchildren; Mikayla, David and Marc Brasefield and Justin and Allyson Olewnik; his three great-grandchildren; Jessie, Ashley and Taylor Brasefield, his nieces and nephews, his favorite cat Maxx and his Friends in the 88 Club. He was also predeceased by his brother James Brasefield. Funeral Services will be Tuesday, April 25, 2005 at 11:00 A.M. at the Ladd-Turkington & Carmon Funeral Home, 551 Talcottville Rd (Rte 83), Vernon, with the Reverend David Mullen officiating. Interment will be in the Elmwood Cemetery, Vernon, CT with full military honors. Calling hours will be one hour prior to the service from 10:00 to 11:00 A.M. In lieu of flowers memorial contributions may be made to the VNA of Wallingford, 135 North Plains Industrial Rd., Wallingford, CT 06492, or CPTV, 1049 Asylum Ave., Hartford, CT. 06105. Please visit www.carmonfuneralhome.com for online condolences and registration book.